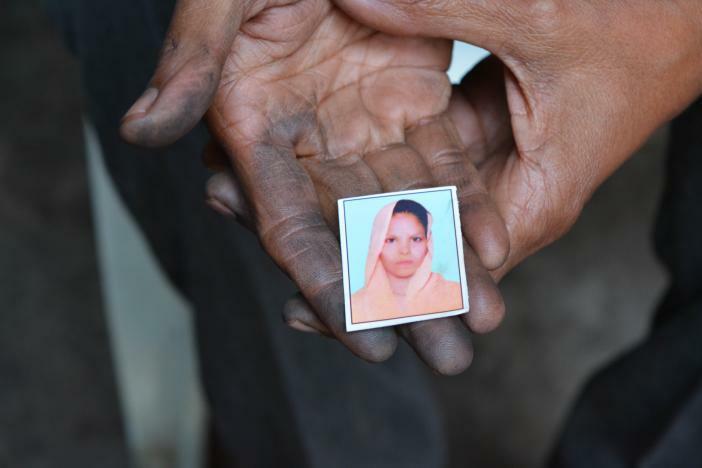 Raisa Begum holds a photograph of her daughter Razia. Photo by Sufian Farooqui. Razia Begum’s house lies just beyond the main graveyard in Aligarh’s old city. The sun’s rays barely reach the narrow, brick-lined lane. Open sewage drains flow past her house. The 35-year-old mother of four set herself on fire on Nov. 20 last year. She died two weeks later. She told reporters she did it because her children hadn’t eaten for three days. Razia’s was one of the scores of deaths reported in the days following Prime Minister Narendra Modi’s decision to scrap high-value bank notes in a crackdown on India’s “black economy”. While some collapsed waiting in queues outside banks and cash machines, others couldn’t bear the shock of discovering that their savings were no longer legal tender thanks to “demonetisation.” Razia told reporters she took the step because of her “helplessness”. Razia’s husband Akbar Hussain and brother-in-law Ashraf make locks for a living. Akbar tried exchanging old currency notes at a local money lender, but the going rate for an old 500 rupee ($7) note was 300 rupees ($4.50) in legal tender. Razia Begum’s children with their grandmother Raisa and uncle Ashraf. Photo by Sufian Farooqui. Razia took the family savings of 3,000 rupees ($44) — six 500 rupee notes — and queued at the bank. On the third day, she went early in the morning, skipping breakfast to beat the crowd, and lost consciousness after standing in line for more than six hours. Back home, when the children started pestering her for food, Razia thrashed them. Then she set herself on fire. “She was a little stubborn, someone who always had to have her way,” Razia’s mother Raisa Begum told India Insight. “It was her temperament that led to her end”. “The entire day was spent cooking for them, teaching them, fulfilling their little wishes and trying to save them from falling into bad company,” said Razia’s sister-in-law Rizwana. The rusted metal door of Razia’s house opens onto a verandah with Akbar’s lock-making machinery and tools scattered on the floor. Their dim bedroom is sparsely furnished, and the bed is cluttered with clothes. Rented plastic chairs on the verandah are there to seat relatives, neighbours and local politicians who drop by to talk about Razia. Razia’s mother, who lives in the city of Mathura, some 60 kilometers away, has moved in to raise her grandchildren. “I don’t know what was in her mind and why she didn’t seek help from relatives. If she had shared her problem, maybe it would have calmed her down,” said Raisa Begum, holding her youngest grand-child in her lap. Ten-year-old Aadil brought his mother home the day she fainted in the queue. The eldest of Razia’s four children, Aadil is the only one who understands she will never come back. He used to go to school, but was struck off the rolls as his parents couldn’t afford the tuition. “Aadil is intelligent and very quick. He’s like his mother, who was a fast learner, studied till the tenth grade and was really good at maths,” said Raisa Begum. Aadil has blank eyes and does not respond to questions about his mother. His brothers Ayaan and Azhar play on the floor. Their sister, 3-year-old Zoya, clings to their grandmother and plays with the zip of her sweater. The woman who died did not always live in Aligarh, a city southeast of India’s capital and famous for its university. Razia, named after India’s first Muslim female ruler, was born in Mathura and was the eldest of six siblings. Her father was a tailor. As a teenager, Razia worked in a beauty parlour and helped her brothers make bridal tiaras. “She was the only one in the family who could read Urdu, Hindi, Arabic, apart from being well versed in the Quran,” her mother said. Razia wanted to go to college, but the family didn’t allow it, so she helped out in the house and kept accounts. She married her cousin in Aligarh after a two-year engagement. Razia’s in-laws adored their talkative, amiable new bride. “I always used to tell her that her food is not digested until she talks to people to her heart’s content,” her sister-in-law Rizwana said. Razia’s death may help send her children back to school. The state government of Uttar Pradesh announced a compensation of 500,000 rupees (about $7,300) for her death in the wake of India’s demonetisation drive. Razia’s death came at the end of a two-week ordeal at a city hospital. “Maybe if the ban on old notes had not happened, Razia would not have had to face such pain,” she said as she clutched a passport-sized photo of her daughter. Locals say demonetisation has hit Aligarh hard, especially its centuries-old lock-making industry. It has an estimated worth of 40 billion rupees ($586 million) and employs more than 200,000 people. “It will be over soon and everyone including you will benefit in the long run. 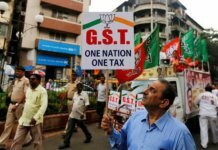 It’s just a bitter medicine to cleanse the system,” said one shopkeeper as he chewed paan while standing outside his shop. In Razia’s neighbourhood, populated mostly by daily wage labourers, there was much less support for the move. Local residents are becoming desperate. 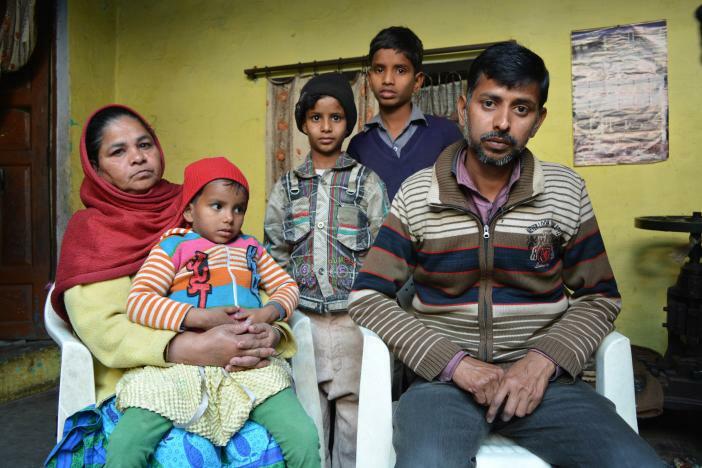 Days before Razia’s death, newspapers reported daily wage worker Puran Sharma got himself sterilised at a camp in Aligarh in return for money to feed his starving family. Razia’s neighbours say they are still suffering from the cash crunch. Rizwana said she disapproves of the step her sister-in-law took. As Razia’s family prepares for a traditional memorial service 40 days after her death, a bespectacled, brown-haired neighbour who goes by the name of Bhure (“brown” in Hindi) drops by and bemoans the government’s demonetisation drive. The nearest bank is a 10-minute walk from Razia’s house. The scramble for cash persists, with around 80 people jostling each other in a queue that snakes into nearby lanes. Cries and curses rend the air when someone tries to break the queue. But mostly, everybody waits patiently. Fake 2,000-rupee note was out within 53 days of demonetization!